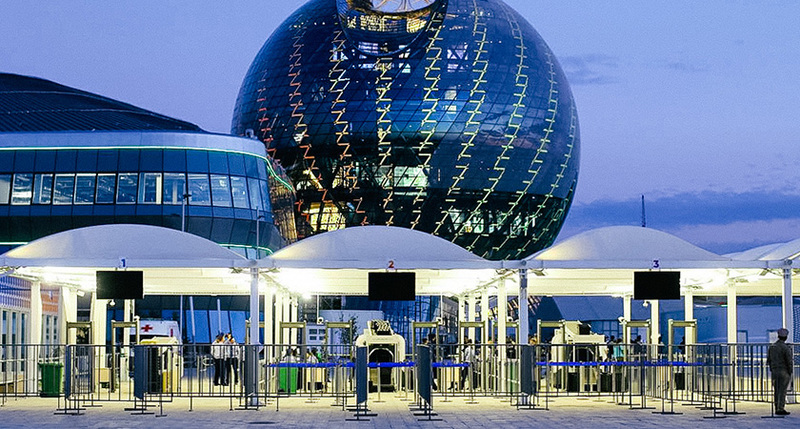 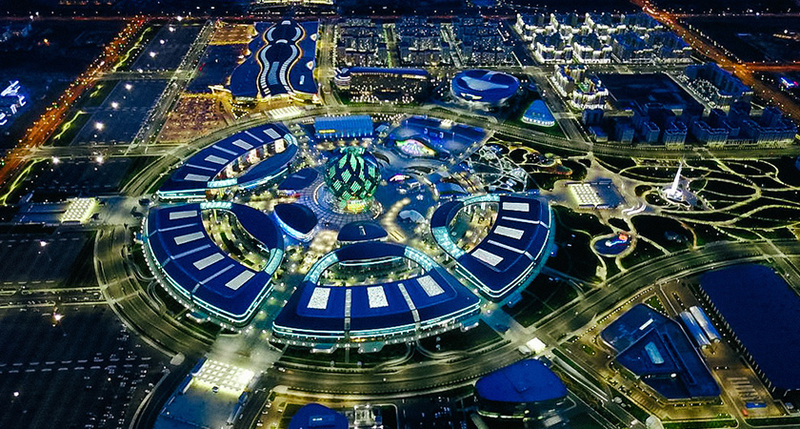 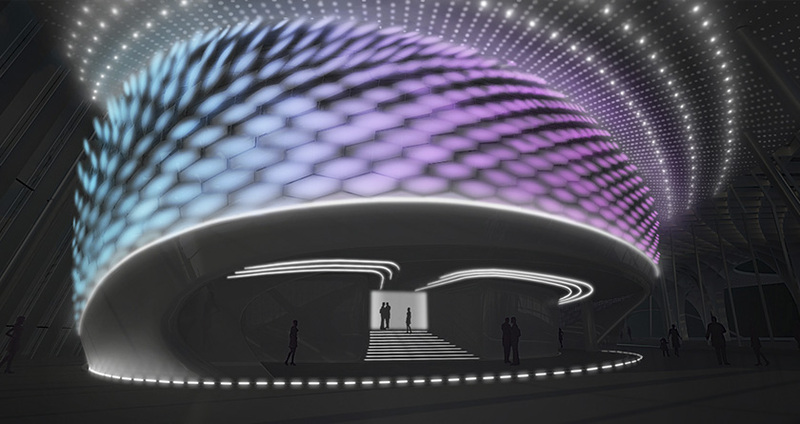 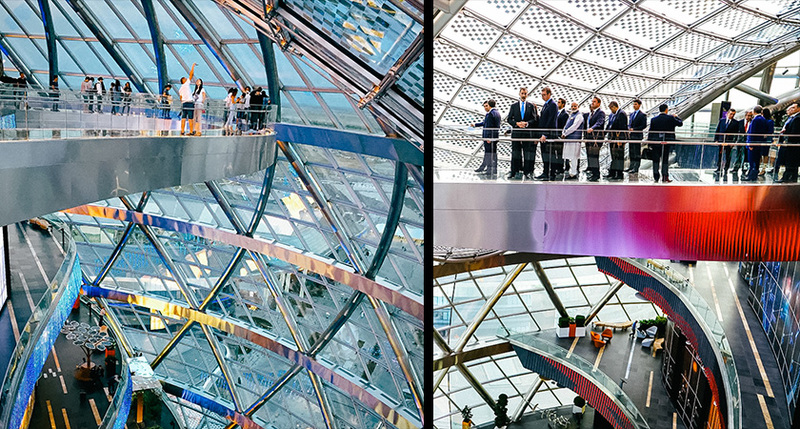 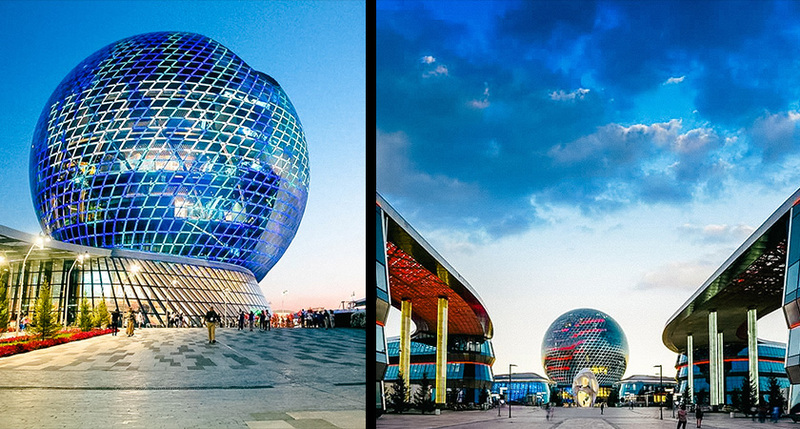 LDPi provided site-wide architectural and interior lighting design for World Expo 2017, Astana. 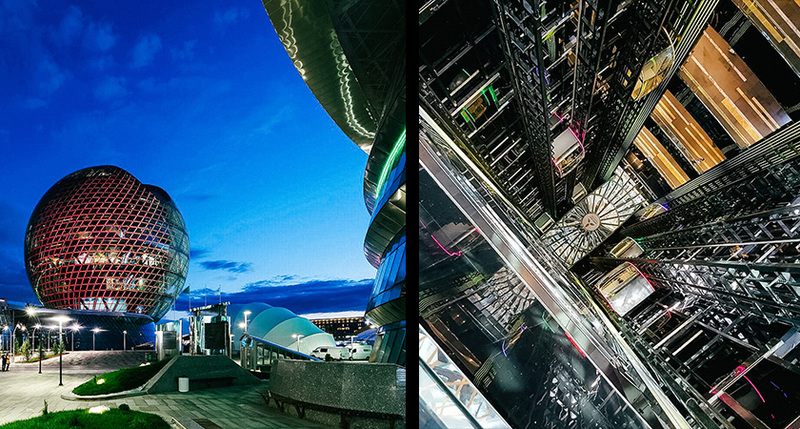 With the theme ‘Future Energy’ lighting proposals within the 18 hectare site were developed to be energy conscious and integrating future usage and transition post-expo. 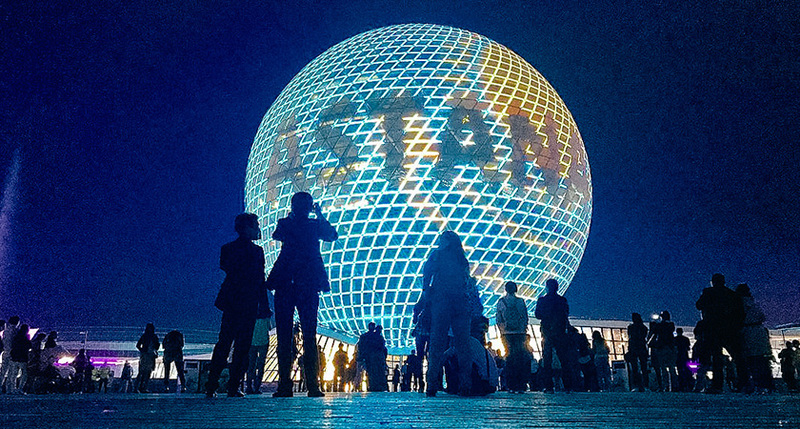 The 80m diameter Sphere is the epicentre of the Expo site and features LEDs contained on and within glazing mullions with augmentation of mesh for special events. 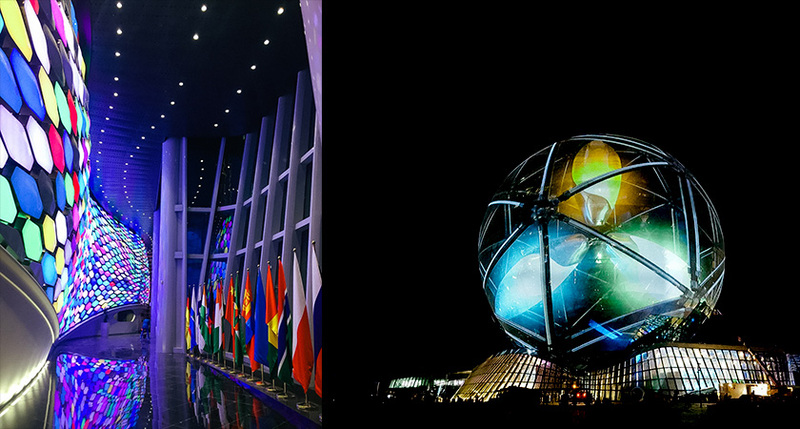 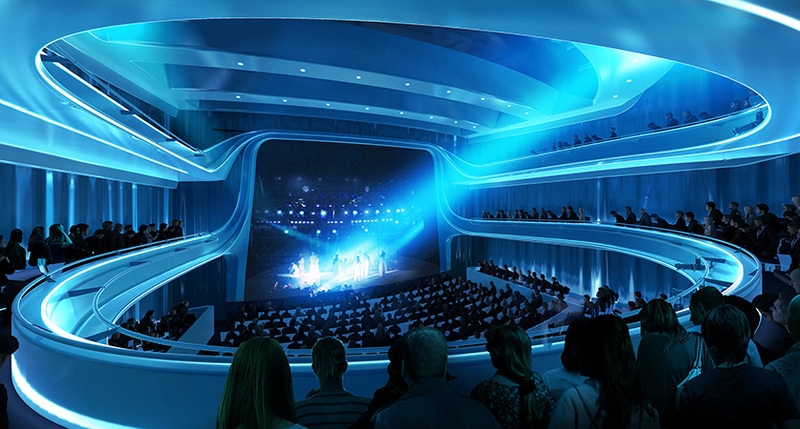 The energy hall, which spans from the sphere features an impressive auditorium which was designed to become a performance in itself, even when not active for events. 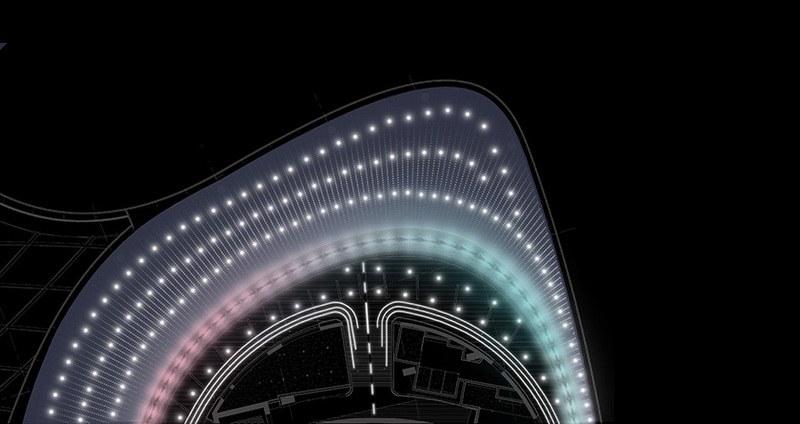 LDPi worked closely with the AS + GG to design the interior façade, which via control of movement and colour has become a permanent light art installation. 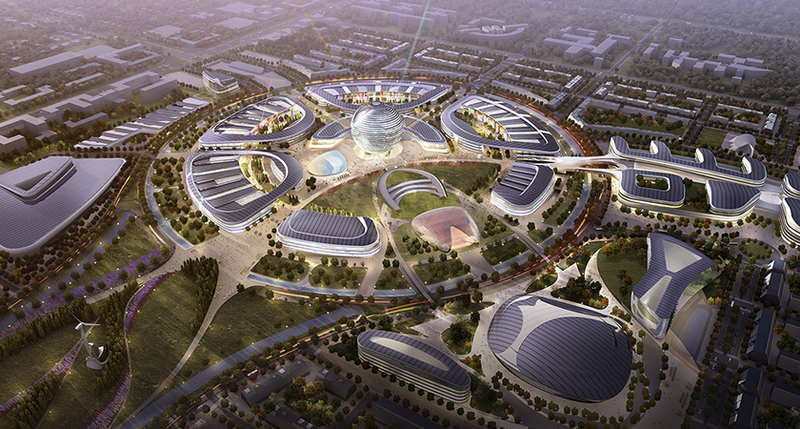 The large scale Masterplan is a legacy project for the Kazakhstan capital.